The country of Chile is divided into North, Central Region , Lake District, Patagonia and the Islands. Â The North of Chile mesmerizes with the Atacama Desert, one of the driest regions on earth, and the Altiplano, the Andean high plateau with its conical volcanoes and lagoons. Â The central regionÂ is the heart of Chile\'s political and cultural life andÂ a third of Chile\'s population lives in and around Santiago alone. Â The region of lake district is situated between the towns of Temuco and Puerto Montt and is renowned for its snow-capped, active volcanoes. 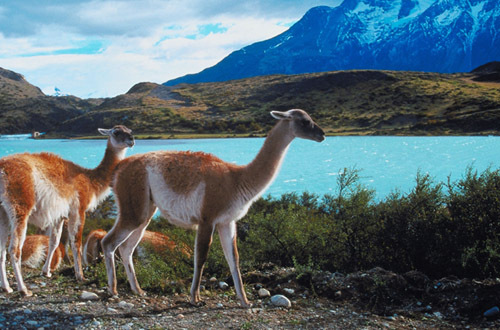 Â Patagonia offers the traveller an awe-inspiring natural scenery. 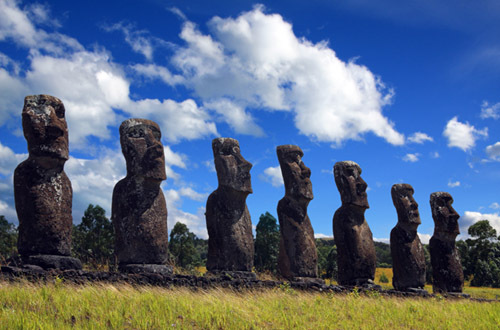 Â Off the Chilean coast, in the middle of the Pacific lies the solitary Easter Island, named Rapa Nui by its indigenous people, meaning \'navel of the world\' which is one of the most visited destinations in Chile. Travelpack have partnered with various airlines including Air France, KLM, Iberia, TAM. Â Please contact us for the best flight options and prices. 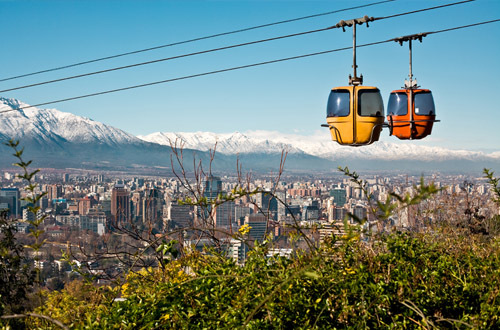 Chileâ€™s is an ideal country to visit throughout the year. Â The seasons are reversed from that in the Northern Hemisphere, June to August is the best time to ski in Chile, and September to November to visit Santiago and middle Chile. You will need a passport of at least six months\' validity. Â British passport holders do not currently require a visa to enter Chile, although requirements are subject to change and we recommend you check with the relevant embassy for upÂ to date information. The legal tender is the peso. Â If you want to purchase currency before arrival, take US Dollars which can easily be changed into pesos on arrival. Tipping is a way of life when you are visiting South America.